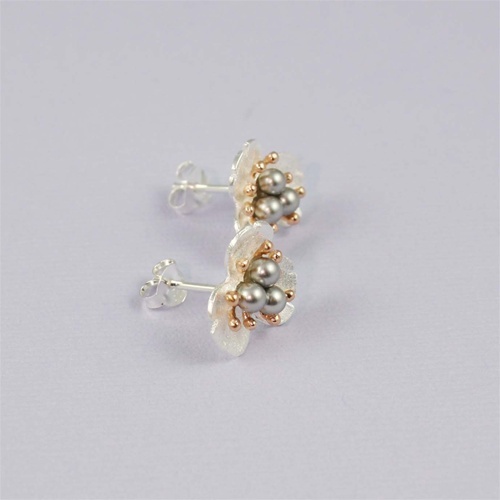 Three black pearls were selected for each handcrafted silver earring. 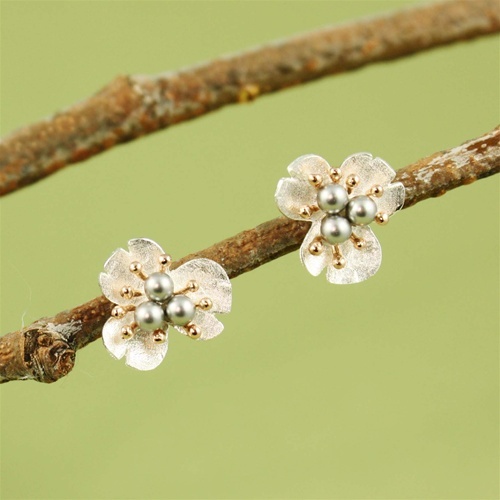 They're beautifully displayed in the center of a sterling silver flower. 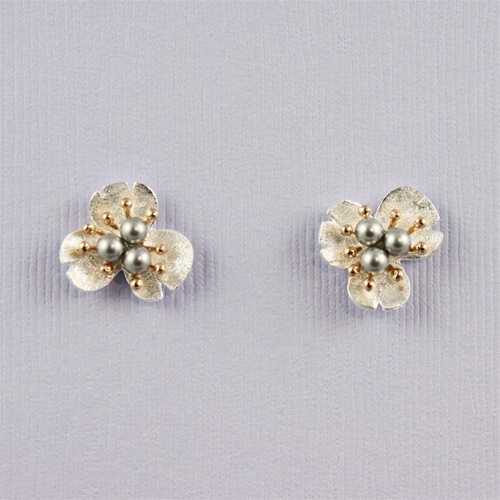 The brushed finish with polished yellow gold touches best present these rarely seen pearls. 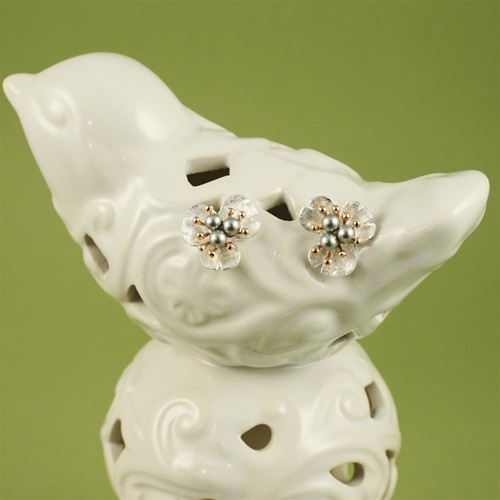 They're delicate yet durable for every day wear.